This has been a very busy week in way of blog awards and appreciation. There seems to be an abundance of awards going around. I'm overwhelmed with the amount of awards presented to Izzy 'N Emmy and now it's time to share the joy. I do apologize if any of you have already received these awards. That just means I like your blog that much more! Tmrw we will return to regularly scheduled programing; Pretty Princesses making Halloween cookies! All they need to do is leave the following message on their post when they pass the award on to their chosen eight blogger buddies. I Consider All Of My Readers Friends. 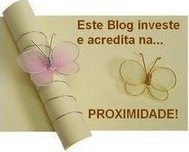 Leave Me A Comment To Let Me Know You're Here And Then Accept This Prefect Blend of Friendship Award For Your Blog. I Love Receiving Comments And Taking Time Out To Comment On Other's Blogs. I Like To Know Who's Lurking Around So If You Are A Reader, DeLurk And Leave Me A Comment To Let Me Know You're Here And Then Accept This SuperCommenter Award For Your Blog. Who knew you could actually receive the ward you created. LOL! 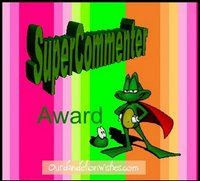 Well Tabitha did just that and decided I deserved my own award! Thanks Tabitha! 1. Place the image on your sidebar and/or in your post. 2. 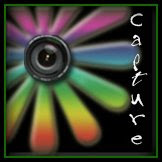 Thank and recognize via a URL link who passed along the Capture Award to you. 3. Pass the award onto at least one other blogger. You got a nice posse of bling yourself!! Some I had never seen. :) Thanx again! wow! 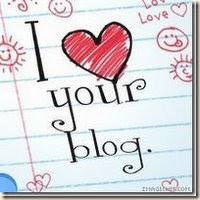 look at all the bloggy love! congrats! That is quite a list of awards! Congrats and thank you so much for thinking of little ol me. Congrats on all the bling! WOW!! Look at you - you go, girl!! Congrats on all the awards - you SO deserve it. :D And thank you so much for sharing the love!!! Thanks for the link and the compliment. I really do appreciate it.